Post Office #9 | Historic Jacksonville, Inc.
And so we continue the saga of the Jacksonville Post Office. Beginning in 1922, Jacksonville employed an extended series of women post masters: Flora Thompson (1922-27), who had previously worked as a stenographer in the sheriff’s office; Alice Hoefs (1928-1932), formerly a saleswoman; Lulu Saulsberry—shown here (1933); Ella Eaton (1934-38), who later became the town telephone operator; Ruth Hoffman (1939-1942), Eastern Star Matron; and Mary Smith Christean (1943-1952). Shortly prior to Saulsberry’s appointment, the post office was moved back to the Masonic Hall. 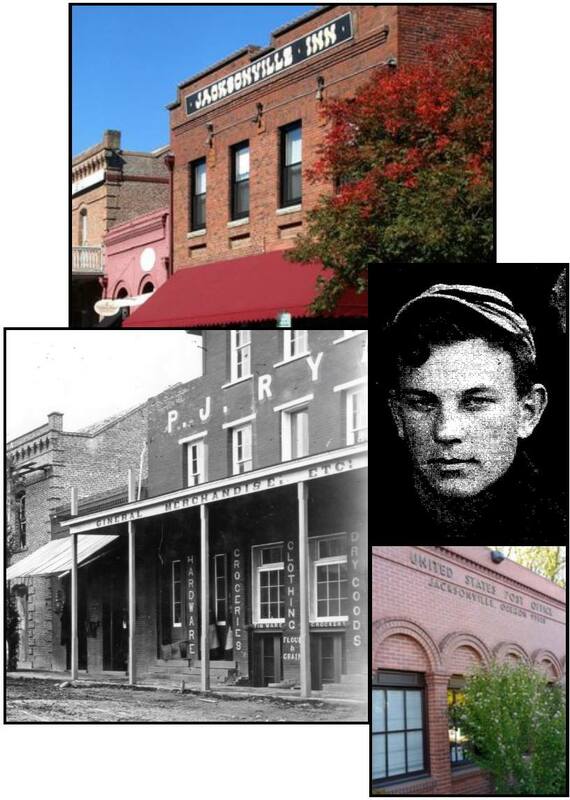 And there’s still more to come, so stick with us for a few more weeks as we wend our way through the story of the oldest continually operating independent post office in Jackson County!